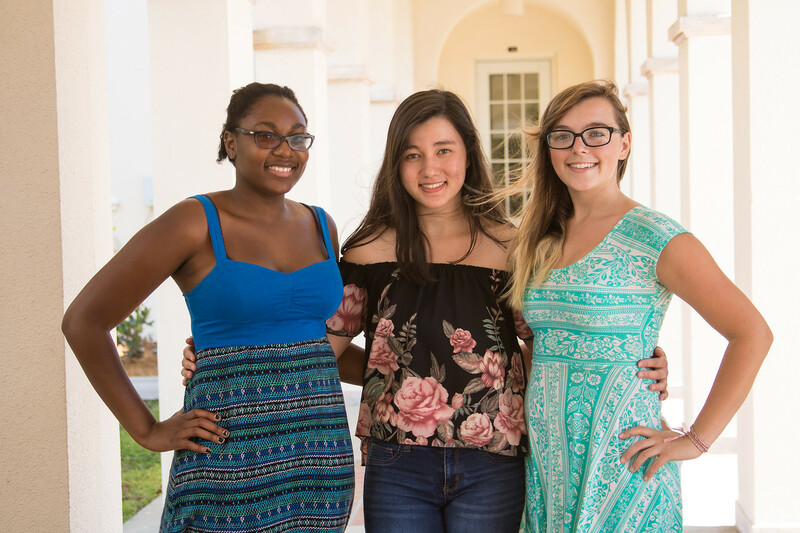 The Isermann Medal program provides research experiences in mathematics and the natural sciences for academically talented first-year students from outside the state of Florida. The Isermann Medal program provides an opportunity for academically talented first-year students from outside the state of Florida to get hands-on research experience in mathematics and the natural sciences. This is great preparation for research tutorials and for the undergraduate thesis project. Early research experiences also help students prepare for graduate and professional school or for employment. The requirements for applicants include admission to New College for Fall 2019, first-time in-college status, status as an out-of-state resident for tuition purposes, a strong record of achievement in math and science in high school, and a strong interest in pursuing an undergraduate degree in mathematics or the natural sciences. Initially applicants will be evaluated using admissions essays and high school transcripts, and finalists will be interviewed by New College faculty via Skype. 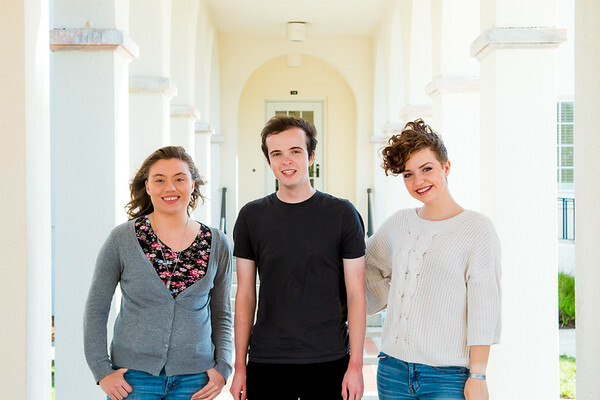 The medal winners will be paired with a New College professor and participate in research during their first January Interterm period at New College and during four weeks in the summer after their first year. The award will include a summer stipend of $2,500, summer housing for four weeks and a food allowance, and funds to purchase laboratory supplies. Regular social events will be planned with all the medal winners during both the Interterm and summer research periods. Rotational spectroscopy of small molecules important for chemistry in the interstellar medium. Cloud computing to automatically analyze spectra from radio telescopes. Organic Synthesis of Metal-Organic Frameworks. Kinetics of copper nanoparticle precipitation in glass: An isothermal plasmonic approach. UV-stimulated near-IR emission of laser glasses. Expression and testing of C. elegans dehydrogenase enzymes. 2017 Isermann Medalists, from left, Melissa Simmons, Cassandra Azeredo-Tseng and Sara Sheffer. I am from Langhorne, Pennsylvania. My AOC is marine biology, probably with a slash in something, possibly chemistry. I intend to go to veterinary school after I graduate from New College. I chose New College because of the excellent marine biology department and laboratory, beautiful warm location by the water, and flexibility in classes and learning overall. I’m from Worcester, Massachusetts, and came to New College of Florida in hopes of double majoring in Biochemistry and Applied Mathematics. I’ve always been drawn to the sciences, and find it exciting when they intertwine in application. I’m lucky to have seen, in my first year, the extent to which my passions can be used in the world. It is this experience that I foresaw that made me interested in coming to NCF. When I first visited, a lot of the students were well-experienced in research, internships, or independent projects. The way this school pushed its student’s growth in learning and life convinced me I wanted to be a part of it. I’m from Trenton, New Jersey, and I came in thinking that I wanted to studying biochem but I’m leaning more toward biopyschology. I want to go to medical school after I graduate from New College. I wanted to come to New because in high school I was in very small classes and I felt that I would get lost in a huge lecture hall. Also, not having grades attracted me. It takes the pressure off of comparing myself to others on how I did on a test or homework assignment. With the contracts here, I can take classes that I might not take otherwise for fear of it ruining my GPA. 2016 Isermann Medal winners, from left, Elena Meyer, Zachary Halladay and Maggie Hoffswell. I’m from Northern Virginia in the Washington, D.C., area, and I’m looking at a biology AOC with a either a concentration in or a slash in environmental science. I’m very interested in ecology, ecological restoration and botany. I’m hoping to eventually go to graduate school, and in the long-term, I hope to be able to do work or research in ecological restoration and conservation. I chose New College for a couple of reasons — mainly, I’d been looking for a college that had both a good biology and environmental science program, and also a college had a strong enough Chinese department to allow me to study Mandarin Chinese throughout college, which was a pretty tall order, because I’d already had up to third-year Chinese at a college level. In addition to that, I really liked the class I sat in on when I visited, the surrounding area, and the fact that I’d have access to nature year-round. I’m from Huntsville, Alabama. I came here thinking I was going to study math and computer science, but I’m definitely more interested in math now. I plan on making my AOC math and taking whatever computer science classes interest me. There were several factors that ultimately made me choose New College over others. I wanted a small school. I wanted a school where I could challenge myself. I’ve always been a very self-motivated learner, coming from a homeschool background, and the no-grade system here has a tendency to either encourage minimal effort or maximum effort. I like the ability to take more advanced coursework and really get into the subjects that interest me. I also really liked the idea of writing an undergraduate thesis. Tagging and monitoring juvenile sharks in Terra Ceia Bay, (with professor Jayne Gardiner). I’m from Holland, Michigan, and my intended AOC is biology. I intend to go to graduate school to study biology of some kind, though I’m not quite sure what yet – something to do with animals, for sure! I would love to do research in Australia or Brazil at some point. I chose New College because of its academic flexibility. The school is unique and works very well with my learning style. The late Howard Isermann, former chair of the New College Foundation Board of Trustees, long recognized the importance of fostering out-of-state scholars. As a retired successful chemical engineer, Howard and his wife Betty gave much of their time and treasure promoting education and the arts over the years. “The college has always had such a high level of academic achievement and I’m someone who is interested in furthering that kind of education,” he said. 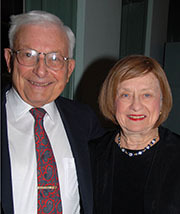 The Isermann’s generous endowments gifts have funded various academic initiatives and scholarships, and the construction of the Betty Isermann Fine Arts Building, a teaching facility and gallery on the Caples campus.